The Villa of the Gordiani is the rarely-visited remains of the imperial residence of the Gordian family which produced three emperors during the 3rd century, cleverly named Gordian I, Gordian II and Gordian III. At the site you will see a pretty well-preserved drum-shaped mausoleum (1st photo below), a few still-standing segments of walls, and the so-called Tor de' Schiavi (2nd photo below) or Torrione (Big Tower), which is a two or three story remnant of half of the outer walls of a tower. 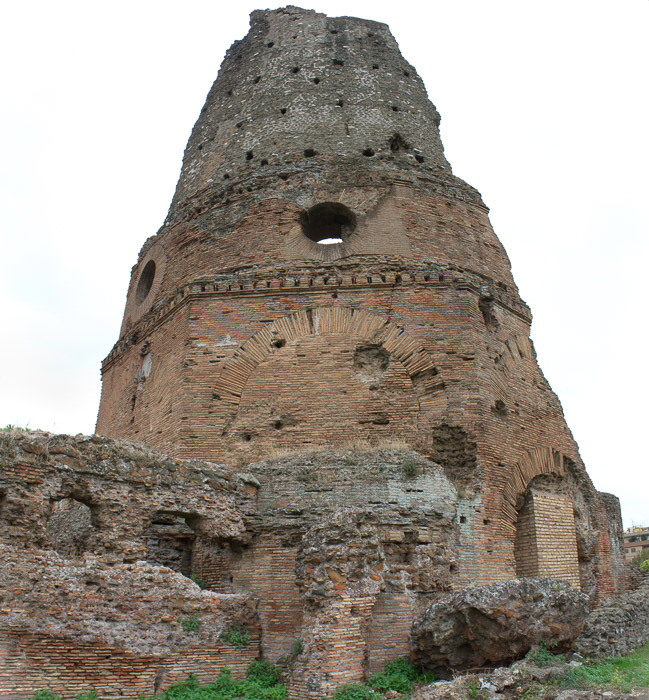 Based on the fact that a visit to the Villa of the Gordiani will take you 90 minutes, I can't recommend it very highly, but if you have some spare time it is an interesting site to visit. To get there, take tram 5 or 14 from Termini (or you can catch the tram from Porta Maggiore if you prefer). The tram will end about 2 miles east of the walls at Largo Preneste, and from there you must take a bus to continue down Via Prenestina for about one more mile. 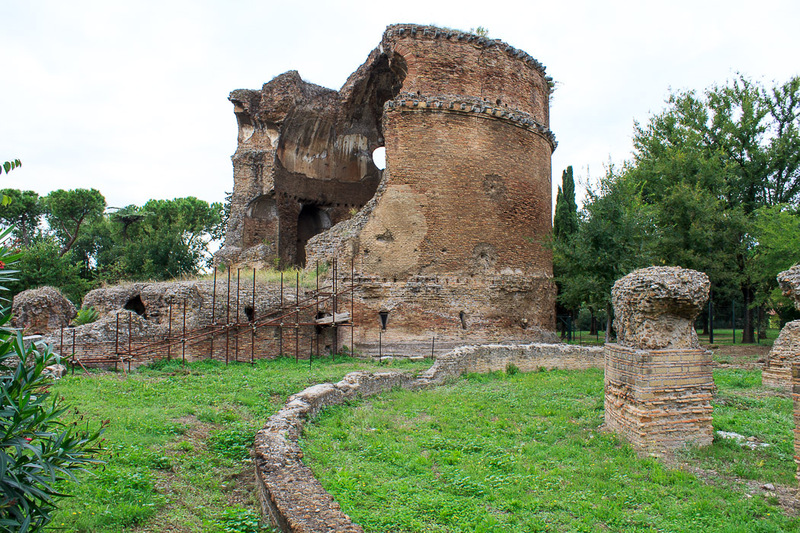 Get off at the Olevano Romano stop and cross the street to enter the park on the north side of Via Prenestina to visit the major sites in the villa. Expect to just see ruins in a public park. There is no guidebook or map or explanation whatsoever. After you've seen the ruins in the part of the park on the north side of the street, go across the street to see the couple of ruins in the part of the park on the south side of the street. See all Villa of the Gordiani photos.